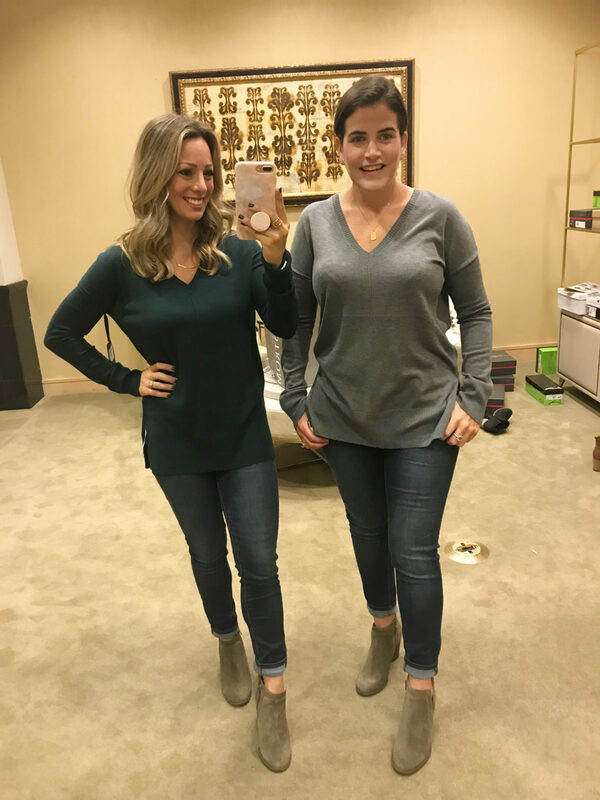 We had such a fun time hanging out together and seeing all the new fall styles- definitely catch a glimpse of us LIVE on Stories today! 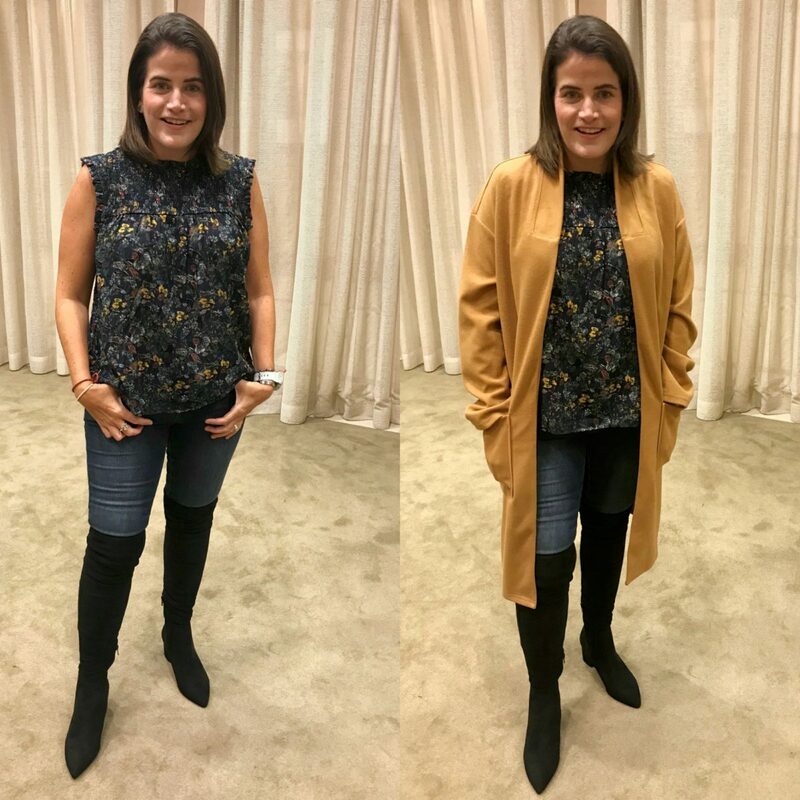 So I’m very excited to share today’s Nordstrom Anniversary Sale try-on session with you! 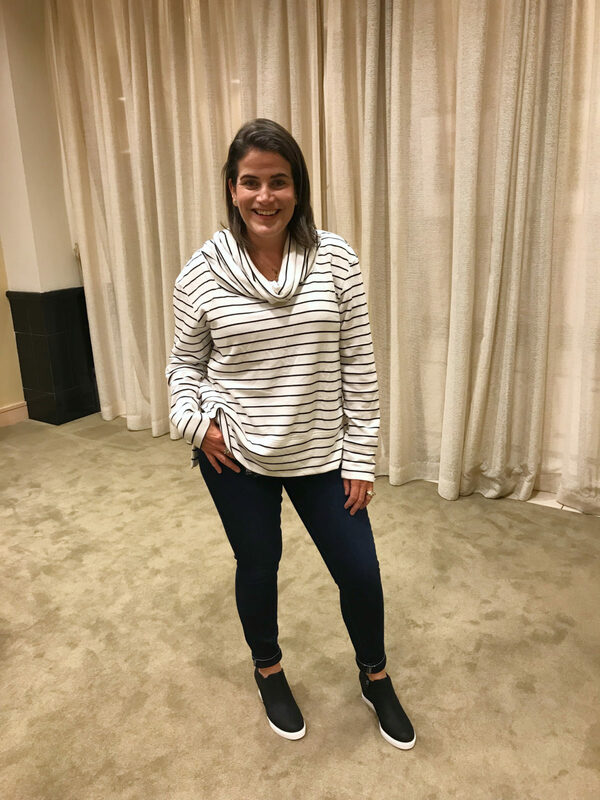 I know it’s helpful for you to see clothes on people of different shapes, so we’ve got ya covered in this Nordstrom Anniversary Sale try on! We made sure to note our sizes in all the pieces for your easy reference. My Size Reference: I’m short (5’1) and petite, athletic build, weighing about 110 and wear a 34D bra. I typically wear size 0p/25 jeans, XSP in tops and dresses. Ali-Shaun Size Reference: She’s taller (5’4), hourglass shape with a small waist and fuller bust. Ali-Shaun is usually size 8-10 in jeans, and Medium or size 8 in tops and dresses. 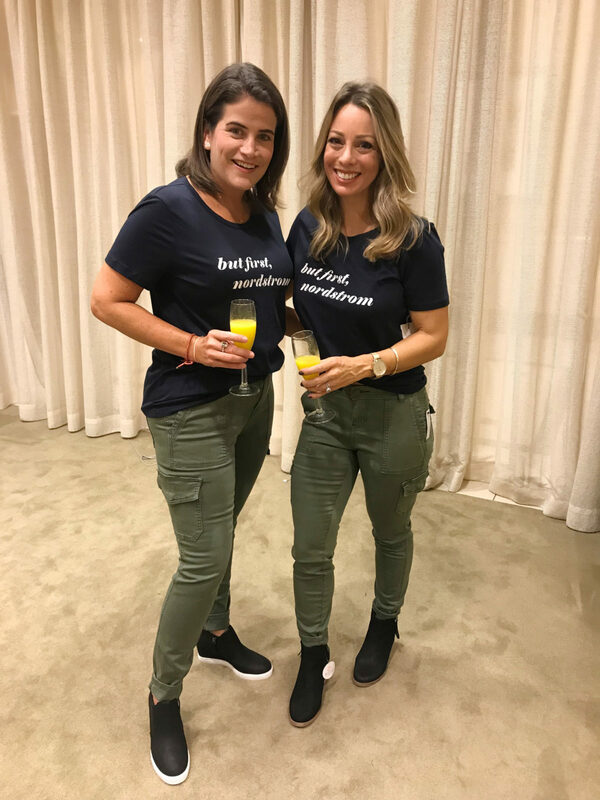 Obviously, we had to get a picture in our But first, Nordstrom tees! They’re crewneck style in a soft fabric that looks great worn alone or layered under a cardigan for Fall. 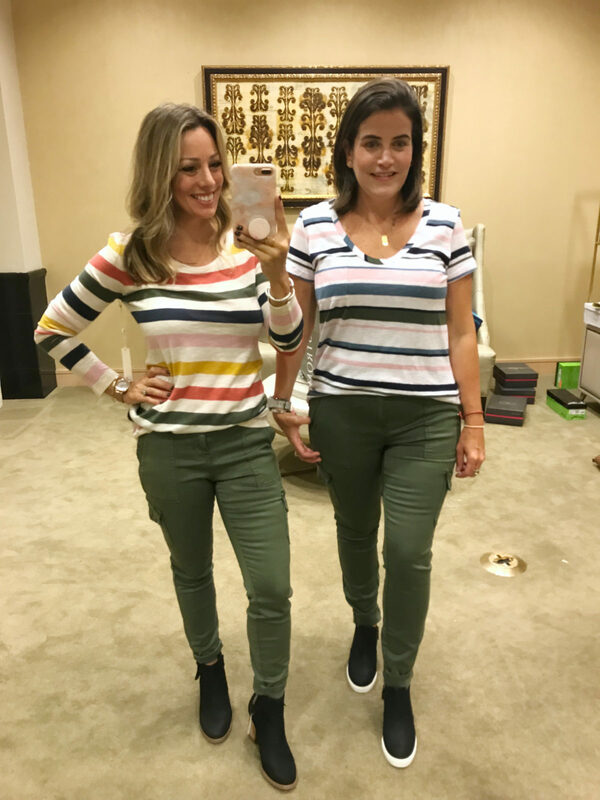 *HIGH SELL OUT RISK* Both of us loved these skinny cargo pants and they’re flattering on both frames. They’re super comfy and stretchy and fit perfectly everywhere with no gaping in the waist! You can dress them up or down and I bet they’ll become one of your wardrobe staples. At under $50, these will go fast too! This sweater is casual, slouchy perfection. It’s lightweight enough to wear for transitioning to Fall and also comes in a pretty pink “purple keepsake”. The Articles of Society Sarah Ankle Jeans were the jeans Ali-Shaun liked best of all the jeans we tried on for comfort, fit, and price- cannot beat $41! They are between a mid-and low rise with lots of stretch and a bit longer length, so we cuffed ours. See on Stories how I get the perfect cuff! These think knit sweaters with a nice v-neck and side slit are definitely wardrobe staples. They come in tons of colors and are incredibly well made. I liked to wear this style at work for a comfy but still polished looking sweater. You can wear them alone, layer a tank underneath for more interest, add a button down top with the color peeking out. These wedge booties were also a hit with us both and fit TTS. 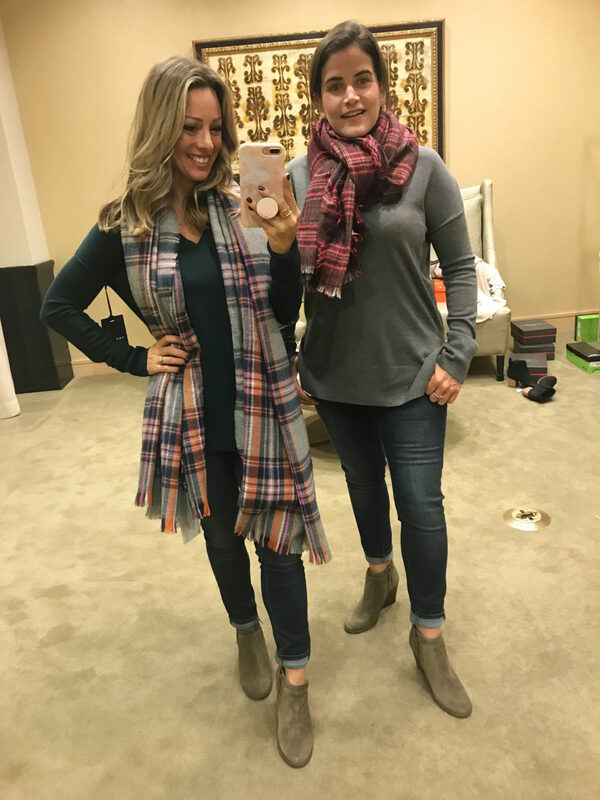 There are a few fun Fall scarves in the sale, but these plaid with a pop of bright pink were our faves! The Paige high waist jeans come in a delicious dark denim and are extremely figure flattering for making you look long and lean. For all those days when you want to throw on a cozy pullover with jeans or leggings! This one is super soft and comes in lots of pretty Fall colors. You’ll definitely want to stock up on these at only $29. You’ve heard me raving about the wedge sneaker and both Ali-Shaun and I look them home with us. One of the most popular shoes in the sale, this wedge bootie is both adorably stylish and comfortable. I’ve already worn mine with jean shorts, but they also look wonderful with a casual t-shirt dress or jeans. The zip makes them very easy to get on and off- no laces to mess with. I think these booties are great for any age and the taupe color is pretty in person. I was so sad they didn’t have this pretty floral tank in my size, but I loved it on her! In fact, this whole outfit is something she brought home with her! It’s a ‘wear now and later’ piece that is gorgeous with the smocked top and looks great tucked in as well with skirts and pants. I really liked this coat on Ali-Shaun, but I think it’s too overwhelming for a petite frame. On her it looked really sleek and stylish. The quality is really good, especially for under $60 and it looks and feels more expensive than it is. The ‘blue pearl’ is a nice silvery blue color. Ali-Shaun was so surprised at how much she liked the over the knee boots. She’s never had a pair and loved how they made her legs look. Gotta stock up on easy-to-wear everyday tees while they’re on sale! I like the variety of colors and stripes this year. I have these tees in lots of colors and they are a great, inexpensive basic! I’m smitten with how this t-shirt is made extra special with the flutter sleeves and mixed materials. It’s silky soft at the neckline and sleeves, then t-shirt material in the body. Aren’t the colors in this top good?! It’s a perfect mix of red, white and navy for mixing with blue or white jeans. Of course I had to get Ali-Shaun in the Cozy Cardi! She had never worn one! Sizes are limited, but as I’m typing this, they are still in stock so hurry!! We both really loved the waterproof booties. 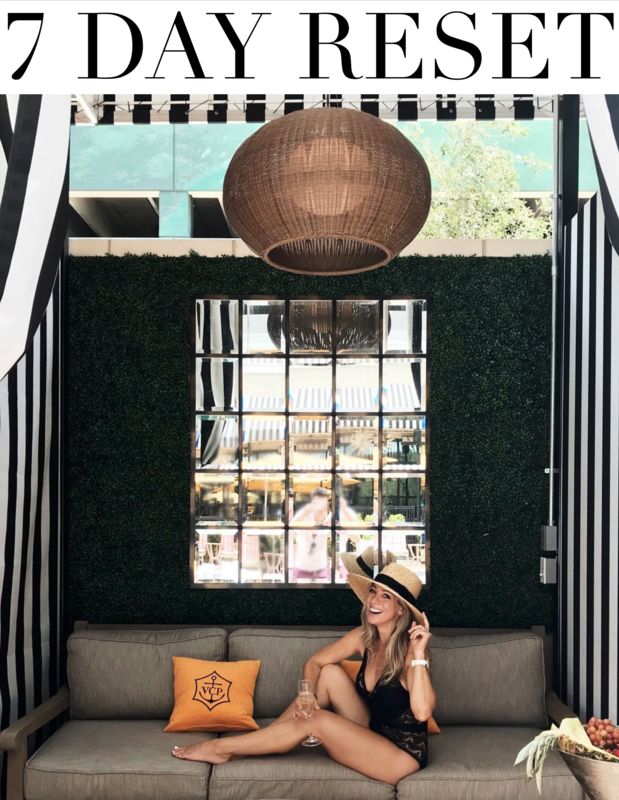 Not only are they stylish with a modern block heel, they’re ultra comfortable with lots of cushion inside. 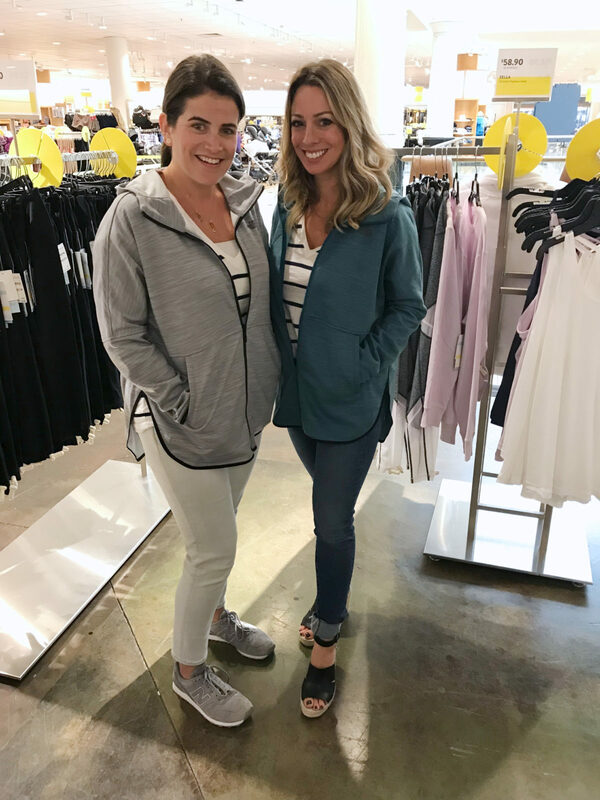 We had to try the Barefoot Dreams hooded cardigan and the new Fuzzy Cardigan. I actually really liked the Hooded cardigan and felt like it would be especially perfect as a robe for after the shower. We weren’t as crazy for the Fuzzy cardi. It wasn’t that flattering and the texture wasn’t as good as the original. 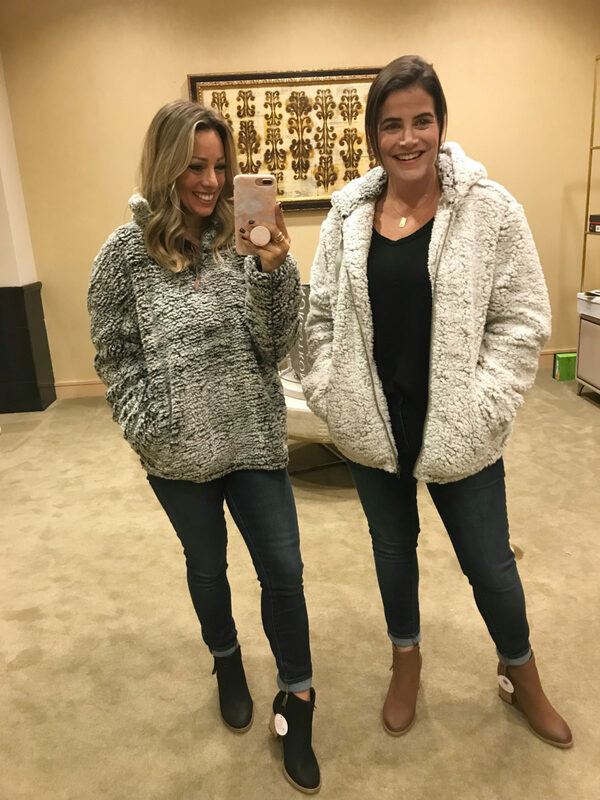 All hail the Teddy Bear Fleece pullover and jackets! While they are too big on a petite person, they are incredibly perfect otherwise! It literally feels like you gave yourself a fluffy teddy bear hug! The inside has a super soft t-shirt lining and it comes in three colors, including a blush pink! Both of us were in love with this simple, but stunning suede shift dress. It’s more of a deep brownish color, but looks slightly green here. I adore it on Ali-Shaun, especially with the knee high boots. It feels incredibly expensive on, but is only $78! I would also look great layered with a cardigan, jacket, or scarf when it gets cold. Ooh, I got Ali-Shaun in a body con dress and it looks amazing on her!! Although it was way out of her comfort zone, she really rocked it! It’s double lined to keep you all snug and the midi length is is sleek and slimming. I love these peep toe booties. The perforated one with front rusching is a great wear now and later shoe. The block heel makes it quite comfortable and it easily zips open on the side. My in-store photo didn’t do the color on these shoes justice, because they are all beautiful! I especially like wearing peep toe booties with dresses and skirts because they have that light and airy feel, as opposed to looking heavy. ALI-SHAUN CARDIGAN FIT: M – we both could have sized down. When we layered the cardigan over the dress, Ali-Shaun breathed a sigh of relief. I think she’s way more used to being covered up. This circle cardigan will easily layer over any outfit. I like the circle shape at the bottom because it doesn’t cut you off in a straight line visually. They are calling it a “ribbed shawl cocoon sweater” and I have to say, it does have a cozy cocoon feel to it! I’m wearing it here with jeans and boots, but it looks great over dresses as well. It’s on the light weight side and has a thin ribbed texture to it. It comes in 5 colors, and the pale pink and teal surf are fun for Summer too! With a perfect fit, this vegan leather jacket is stunning! It’s got half knit/half vegan leather sleeves so it’s more cozy than your typical leather jacket. The asymmetrical fit is really stylish and the jacket looks great both zipped and unzipped. It’s especially chic for a night out with jeans and booties. This jacket looks 100% better on than it does on the hanger. It’s so super soft and drapes beautifully in an effortlessly chic way. You can also fasten it at one side to wear it closed. It will look fantastic with leggings and boots this Fall and Winter. You won’t believe it, but you can machine wash this jacket! And it’s under $60! Now onto jumpsuits! There are several amazing ones in the Sale and here are a few of our faves! This navy jumpsuit has a wide leg and deep, flattering v-neck, tie waist and pockets. Ali-Shaun had this one altered and brought it home with her! This cabernet jumpsuit is so fun for a festive night out. I felt like it had a retro vibe with the flared sleeves and wrapped waist. The midriff cutout is slight, so you won’t feel overexposed. It also comes in black for a more traditional color. Friends! 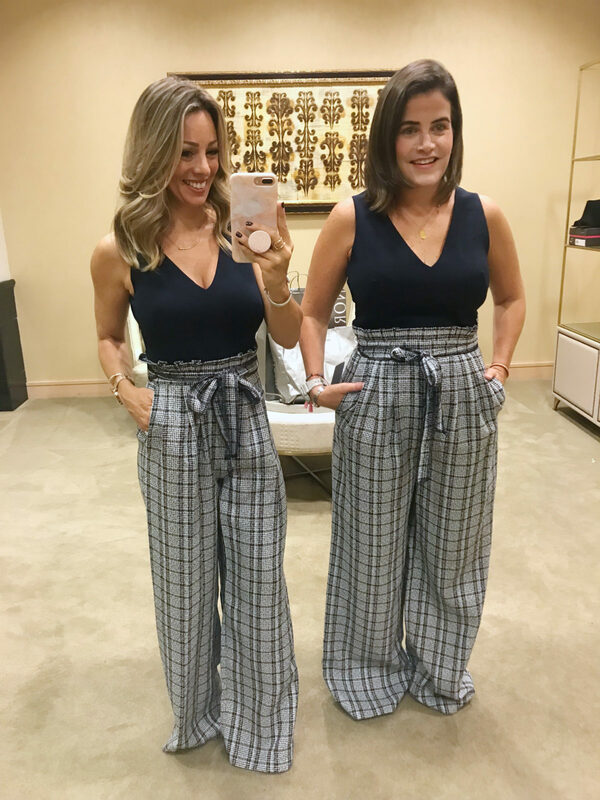 This wide leg jumpsuit is to die for! I was crazy for the elegant flowy material and classic spaghetti strap bodice. It’s almost like the jumpsuit version of your little black dress, but way more comfortable. I only had to alter the length for a perfect fit and you can wear this bra with it and it won’t show. How fun is this paper bag waist jumpsuit?! The bodice is fully lined and you can wear a regular bra with it. The menswear inspired tweed bottoms are much more lightweight than they appear. You can wear it with or without the tie belt. Although this was way too long on both of us off the rack, I got mine altered and can’t wait to show you next week! This va va voom jumpsuit looks great on everyone I’ve seen it on! I love the vibrant red, but it also comes in black and cobalt blue. It’s made of comfortable, stretchy crepe material with pockets and a faux tie belt. The deep v, slim waist, and wide leg silhouette really accentuates your figure. You’ll see this one in it’s altered glory next week too! For all you professional ladies, we found your next dress for the office. The combination of tank style and plaid fabric make it transitional for now and later. I though the yellow piping on the tie belt was a fun touch. The gorgeous teal color and tiered pattern with tie neck caught my eye on this one. The dress is light and flowy and would look great with knee high boots or tights and booties in the winter. The petite florals are really pretty in person and it’s versatile for both work and play. Ali-Shaun (and Shannon!) were crazy for this jacket because it has the look of a nice tunic top with the comfort and warmth of a zip jacket. This brand is also known for their top notch quality and always lasts forever. I was more partial to the furry fleece jacket below. It’s sooooo soft and comfy! After I left the store without it, I couldn’t stop thinking about it, and was so lucky they still had my size when I went back to order it online! 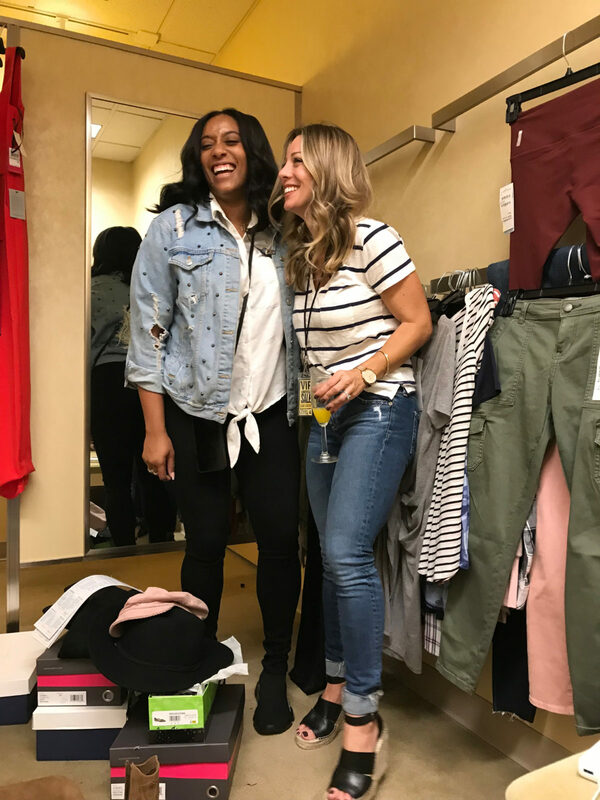 Ali-Shaun and I have to give a special shout out to Jamece, who helped us at Nordstrom and made everything that much more fun! #mimosas!! All in all, it was a very successful shopping trip and always tons of fun with this girl! 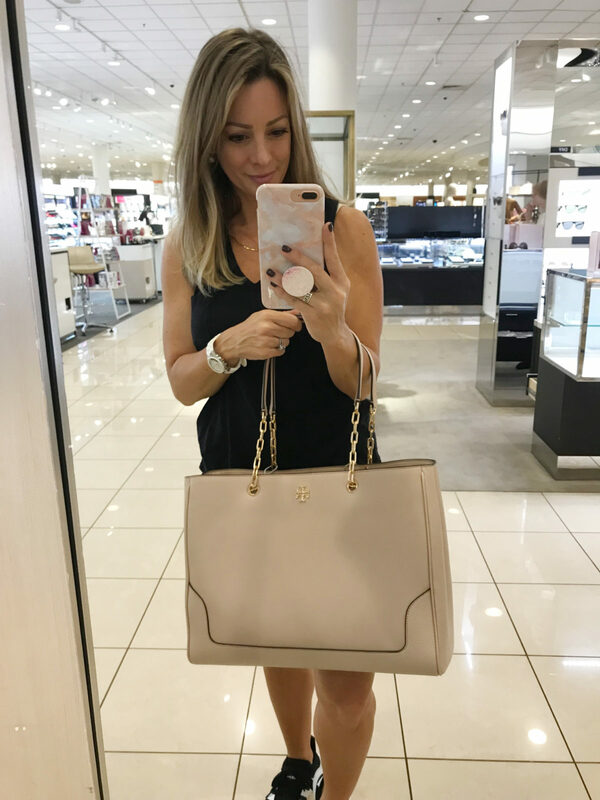 If you have any questions about our Nordstrom Anniversary Sale try-on, please let me know in the comments and I’ll be happy to answer! 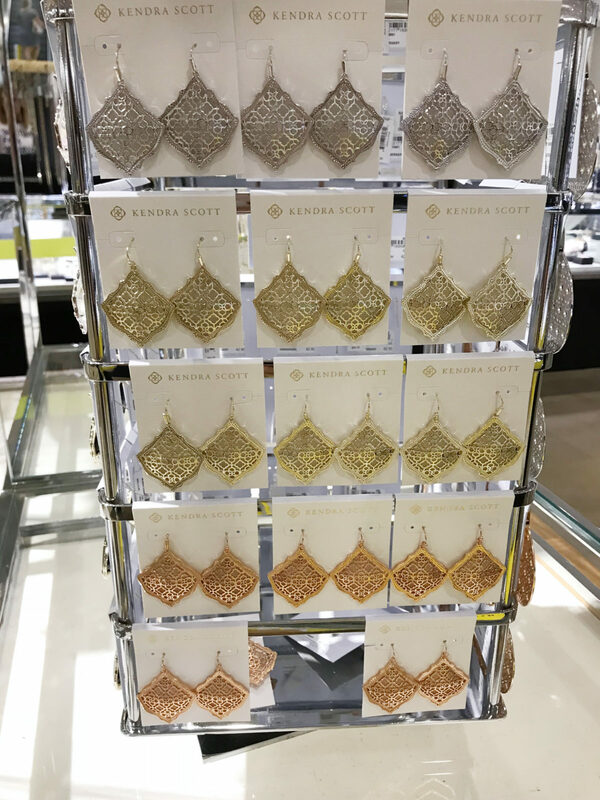 These Kendra Scott drop earrings come in several pretty colors and are lightweight so they won’t hurt your ears. The new disc style Kendra Scott earrings make a bold statement. They have some weight to them, but I wore them comfortably for several hours the other day. The three strand necklace is delicate perfection and the best part is- it doesn’t tangle! I’ve already gotten so many compliments on it! 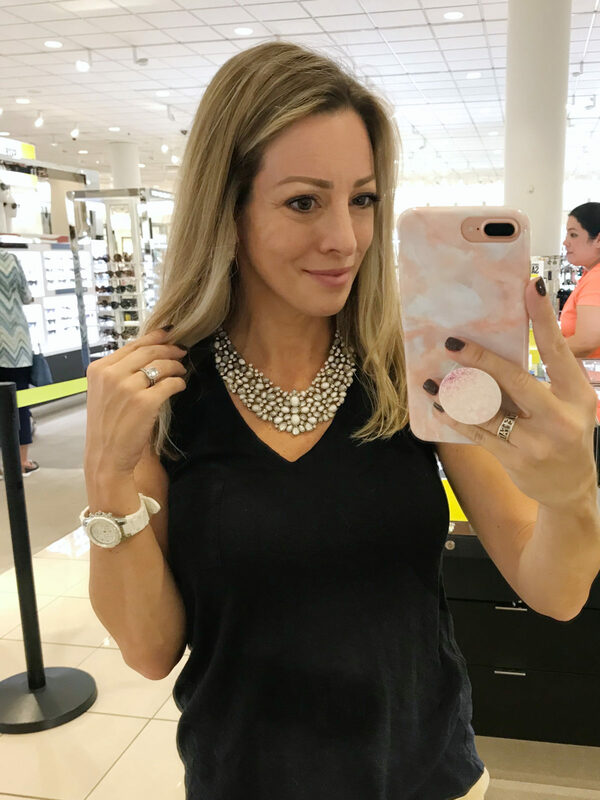 The ever popular crystal collar necklace takes any outfit up a notch. This sale price is the best I’ve seen! If you have your heart set on this gorgeous TB tote, it’s marked way down right now. Maybe an early Christmas gift hint for the hubs or boyfriend??!! 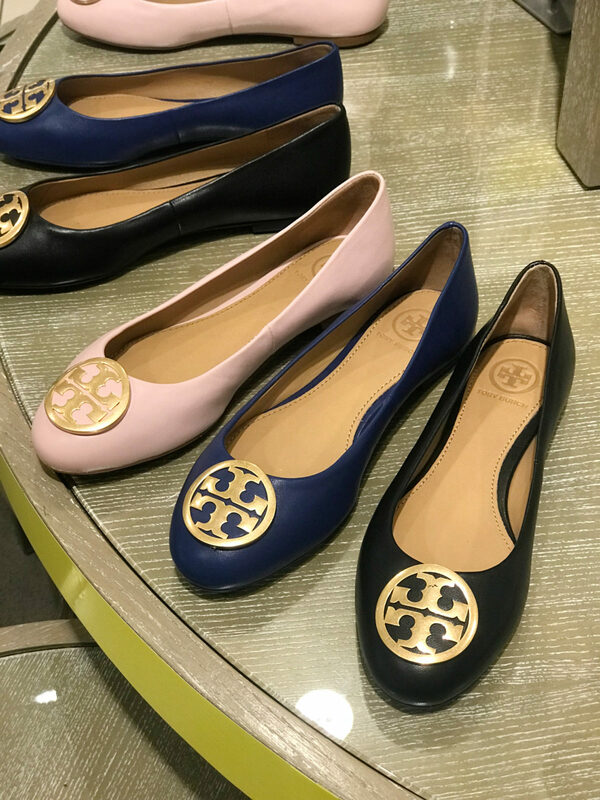 For all my flat-loving friends, the Tory Burch ballet flats are on sale too. When I worked in a professional office, I definitely liked to have a pair of comfortable flats on standby when I couldn’t stand another minute in my heels! In Shannon’s old job, she said she frequently rotated between these in two colors. Last but not least, two of my favorite pajamas are included in the sale. This fabric is thin and lightweight, and the patterns are super cute. They run on the small side, I wear XS. 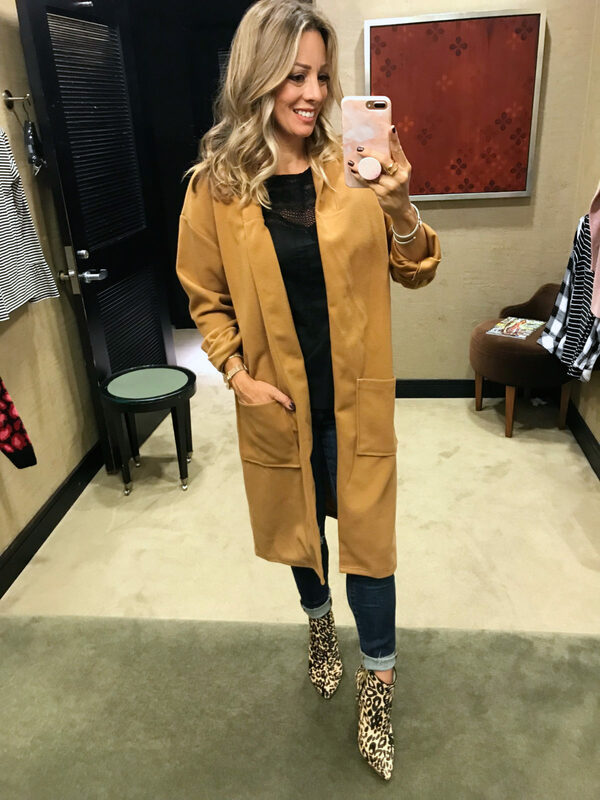 Need a little help narrowing everything down from this Nordstrom Anniversary Sale try-on? Below are my top picks! NORDSTROM • Anniversary sale is now open to everyone + tons of clearance deals available! My picks: All the Hi Sugarplum pieces are 33% off and this V-Neck Fit & Flare dress is 40% off! My picks: The long sleeve magic dress is $20! This tank dress looks like the perfect vacation/weekend dress. LOFT • Everything is 40% off – 50% off for cardmembers! My picks: The embroidered shift dress is on sale, as well as this darling t-shirt! My picks: This Vince Camuto dress is under $50 and these fun square drop earrings are under $15! My picks: Now is a great time to stock up on summer essentials like the TSA & travel-friendly Discovery Collection, because it’s $25 off! JCPENNEY • 70% Off Exclusive Brands, Buy 1/Get 1 Free Bra and undies! 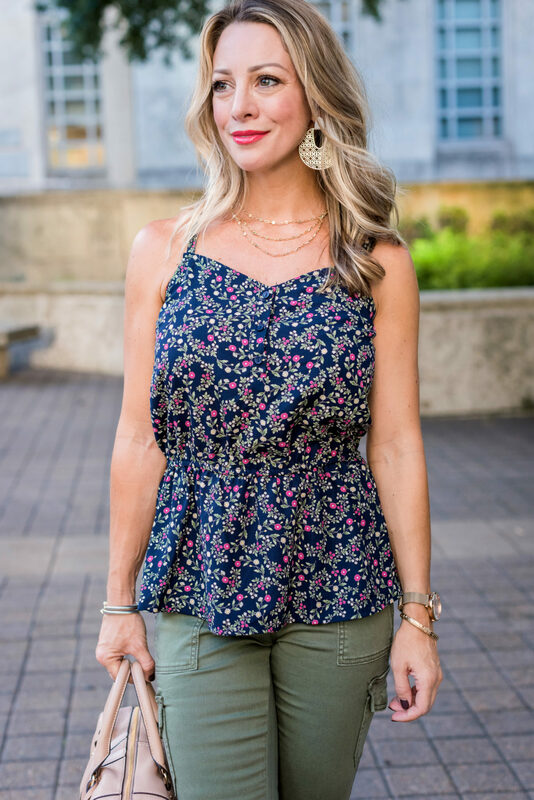 My picks: This tank top blouse is under $9 and has the cutest polka dot print! The zip front on this classic dress makes it super sassy! My picks: Big sales on dresses like this faux wrap and half off this tie-waist tee! 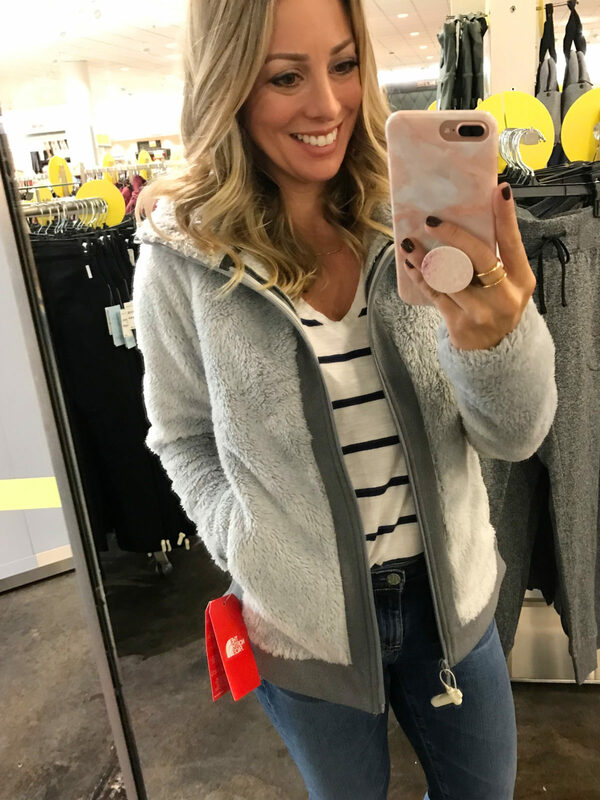 My picks: Love the pattern on this bomber jacket and this open-front cardi is listed as “super-long” – really need some petites over there! My picks : after a summer of activity, I need to update my dishtowels and certain colors of this dutch oven are discounted! I’m so glad that’s helpful! That was great – I hope Ali-Shaun bought the red jumpsuit – it looked great on both of you! Hope to see more of you two together! I loved that on her too- especially with her dark hair! I love the pictures of you both in the same thing. It looks like you two had so many ch fun!!! Was a really fun day together! As evidenced by the mimosas! I know you said she was self conscious, bit I really hope Ali-Shaun bought that black dress! She looked amazing!! And this was really helpful to see outfits on two body types right next to each other, you guys looked great! Ali-Shaun is so beautiful and I LOVE it when she appears here! I hope she got the body con dress and that olive one too because she has an amazing figure! Didn’t those look amazing on her?!?! You ladies are on fire!! I always love your dressing room posts, but they are even better when you have Ali-Shaun with you!! I hope she bought the paper bag waist and the red jumpsuit….they look amazing on her!! I can’t wait to see the altered jumpsuits on you…..you were made to wear a jumpsuit! Agree! Ali Shaun rocks a jumpsuit and should have bought all of them. And the black body con. You guys are the cutest! 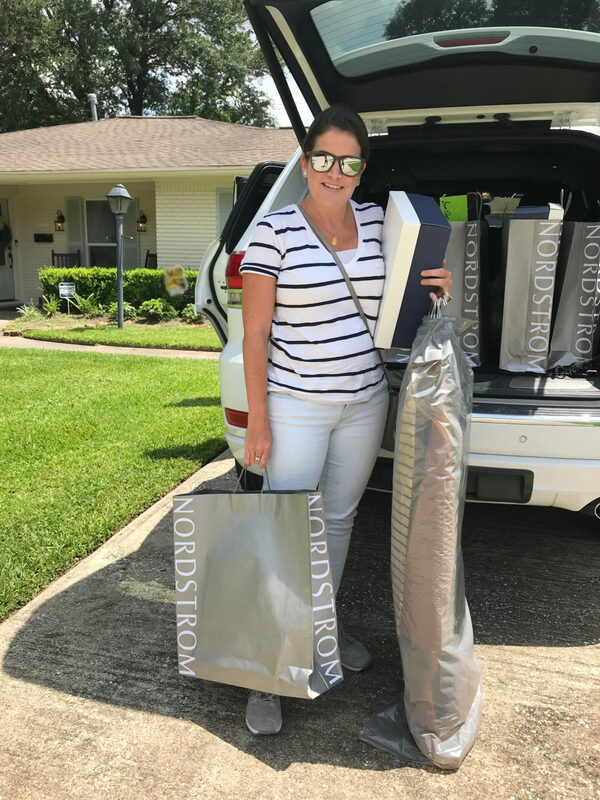 Thank you for all your hard work on the Nordstrom sale! 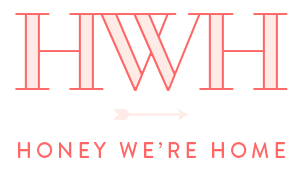 It’s a labor of love and we’re happy to do it! Have a great weekend Jill! I agree – I fall between your two sizes so seeing the two of you right together told me exactly what size to order. You both look great BTW. Ali-Shaun you NEED that black dress and the red jumpsuit. 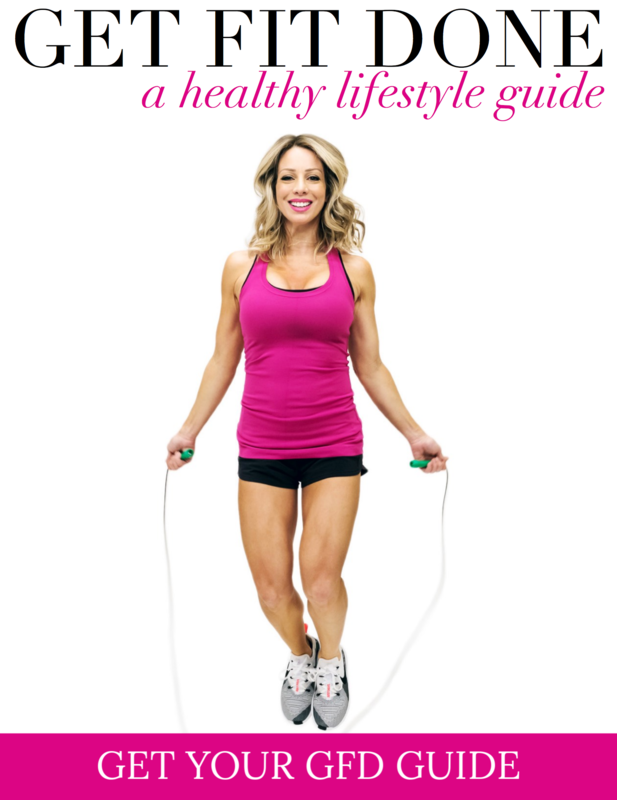 Flatters your hourglass figure so beautifully! You two we’re having too much fun. This is an amazing post,, showing different sizes is very helpful. We appreciate all the hard work you do for your fans. Ug! I wish! I loved her in that one too! Like the others said, I love seeing your choices on different body types. Ali-Shaun and I are just about the same size so it was really great seeing her in these outfits. I’d love for you to do more of these with her :). You both looked great! I’m going to tell her y’all want to see more of her! Maybe make it a recurring series! Thank you!! 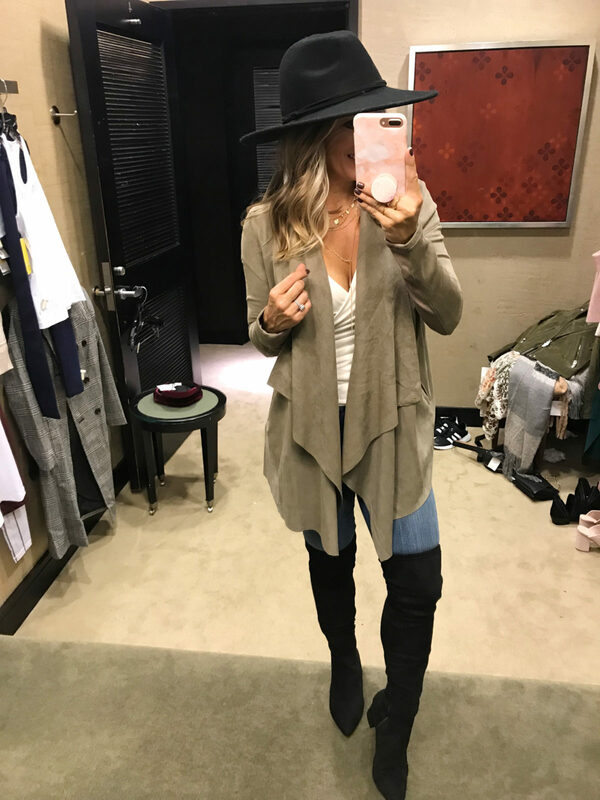 I’m not a regular Nordstrom shopper so your posts have helped me navigate the sale! You girls looked fabulous in everything,I don’t know how you decide what comes home with you! Love having Ali-Shaun in the dressing room too! Thank you Michelle! I’m so glad you find these posts helpful! First of all, Ali-Shaun is beautiful! I adore that you have different body-types featured on your blog, it makes it so much more fun to look through 🙂 Y’all were both slaying in the black body con dress and that olive green number-stunning! 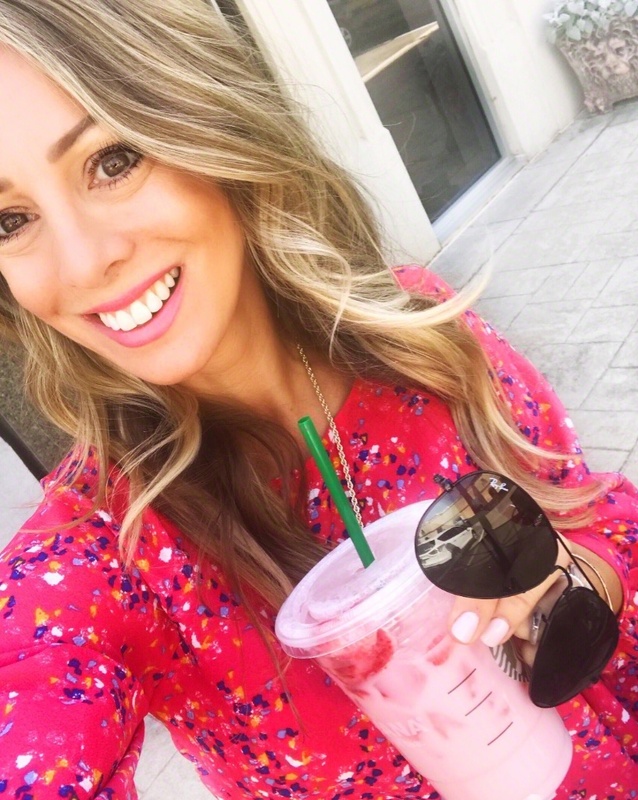 What lipstick are you wearing in the pic with the Kendra Scott Diane earrings? I love that pink! You both looked stunning in all of the outfits! Please have her join you more often. 🙂 And her name is so pretty and unique – is there a story behind it? Thanks! Names with family history are so meaningful and it fits her beautifully! That’s so good to know! I’m so glad the post was helpful= that was the goal! I ordered the green cargo pant and finally got the chance to wear them at work today. I love, love them! They fit well and are very flattering. Although standing 5’10” I wish I could roll them up at the ankle like Ali-Shaun did, but they are super cute! Those were one of my favorites! Thanks for letting me know they were a hit with you too!